We’ve had NNF members and others coming back to us after participating in one of RSP’s consultative events. We were told by one that the RSP lawyer, Angus Walker, had said, in response to a question about TDC not being happy with the extent of the consultation being on offer, that TDC had asked for the direct mail drop zone to be extended from 1km to 3km and that a compromise at 2km had been reached. Meaning that these homes would get a leaflet through their letterboxes with the implication being that TDC were happy with this change and had no other concerns. In essence the Council “raises concerns that the consultation exercise proposed will not provide enough information about the project itself to allow meaningful comment by the local community.” That’s certainly true and numbers of you have already been complaining about this. The Council also complains of the lack of information on delivery strategy, finance, operators and investors. Without this sort of detail, it’s all a bit…well, pie in the sky, really, isn’t it? TDC recommended also that the exercise should be over 8 weeks rather than 6. TDC also said quite clearly that all residences and businesses within Ramsgate, all Thanet villages and Herne Bay should be directly informed by leaflet. Has that happened? Of course not. TDC complained about the number of events (too few), their location (insufficient coverage) and the venues (not on bus routes). The Council also complained about how the consultation would be available to the ‘hard to reach groups’. It’s certainly true that if you are lacking in digital literacy, living without your own transport, working full time, working away from home frequently, experiencing considerable domestic duties or responsibilities and so on, then it will prove difficult to access either events and/or the online consultation. We’re wondering why, for example, Ramsgate’s event is only 4 hours when the others are 6 hours. We’re wondering why only one event in Ramgate and Herne Bay when they are the areas most impacted by the flight path. You can see then that, far from being happy with RSP’s consultation, TDC had a very long list of complaints. At last someone is starting to bring it to everyone’s attention that this could be a nightmare waiting to happen . Come on people of Thanet ” wake up ” l have been saying for months that action needs to happen . We have a voice we must use it before it’s to late .well done you . This will ruin any tourism in the Thanet area would you want to holiday or visit round a major airport ? The whole thanet area is being revitalised & an airport such as this will stop it dead in its tracks. Everybody benefits from the revitalisation tourism brings but everyone will lose if Riveroaks plan goes ahead.If you are a home owner what do you think this will do to house prices in the area ? From the literature we have seen from River Oak they are trying to present this as a done deal, IT ISN’T so fight it if you want to continue living in an up & coming, beautiful & unpolluted area. Please don’t let RiverOak destroy it !! We are all for the reopening of Manston as an airport. Thanet is a deprived area with high unemployment. 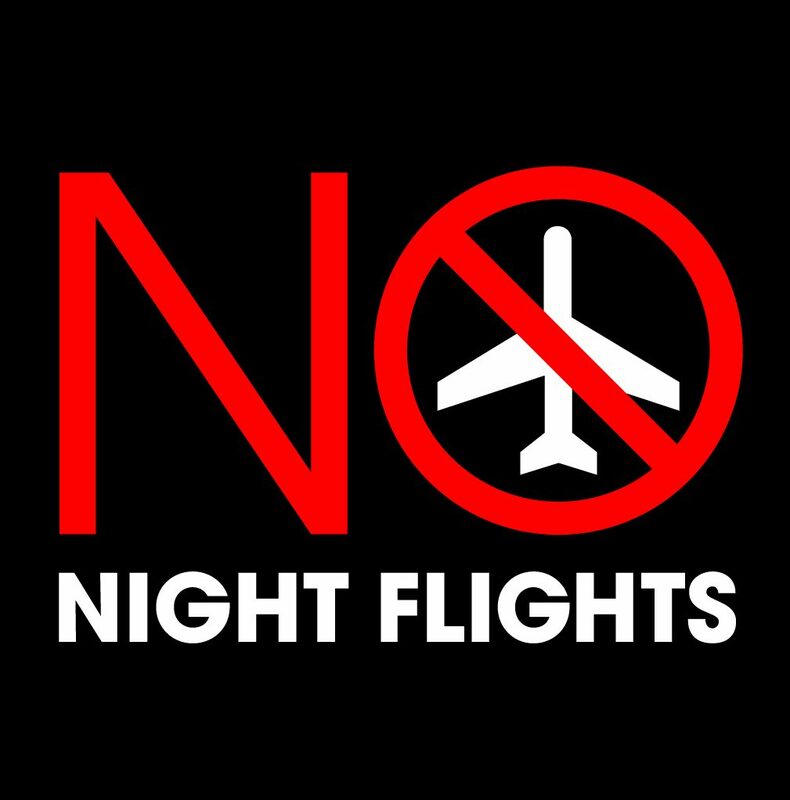 I think you will find the majority of people in the No Night Flights group agreeing with you that turning our beautiful corner of England into a huge building site is an unpleasant thought. However, whether an airport is on that site or not, the numbers of houses to be built in Thanet is already determined and we can do nothing about that. The only thing we have any influence over is where they are built. 17,000 is a lot of houses! Most of us don’t want those homes built on green fields, filling up the spaces in between our towns and villages so that we lose more and more of our green corridors. This is what is happening. Building 2,500 homes on the Manston site at the very least relieves pressure on land elsewhere. The additional bonus is that a large development of this kind brings all sorts of requirements from developers in terms of community infrastructure. If they build there then they will build one of the much needed schools the area requires – similarly improved roads, health facilities. Smaller, in-fill developments bring none of those advantages and just add more pressure on already overburdened services. In terms of jobs, we all know how much we need jobs in the area. Manston has promised jobs for years and has always failed to deliver. This is par for the course in the aviation industry, especially when there are plans for expansion or new airports. On the other hand, we have the owners of the site with a proven track record in creating jobs – between 2-3,000 locally at the Discovery Park site in Sandwich – across the country. Many people seem to feel that the Manston site will be purely houses – the intention is that it is a mixed use development with jobs created on site. In addition, of course, people buying homes there may well be commuters as so many people in Thanet are these days. People living in Thanet, even if not working here, regenerate the area through the money they spend locally and contribute in this way. Jobs plus homes is what the area both needs and is required to have. We don’t need a huge cargo hub airport blighting lives. TDC should be doing more to inform local people about this threat. The application for a DCO may be bypassing the council, but they have been given the information (such as it is) about the DCO and they know which areas are likely to be hardest hit. I appreciate that RSP should be paying for a proper consultation and TDC should send them the bill.